Last year I did a couple of 3D printed figurines for Varethane (Ally RomColthoff), based on her webcomic Chirault. 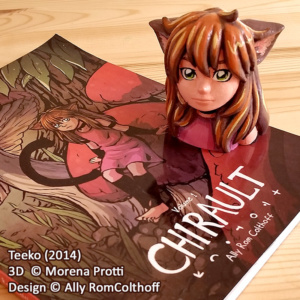 Ally is currently doing a second Kickstarter campaign to print volume 2 of this comic, you have up to Oct 24 to back her up! 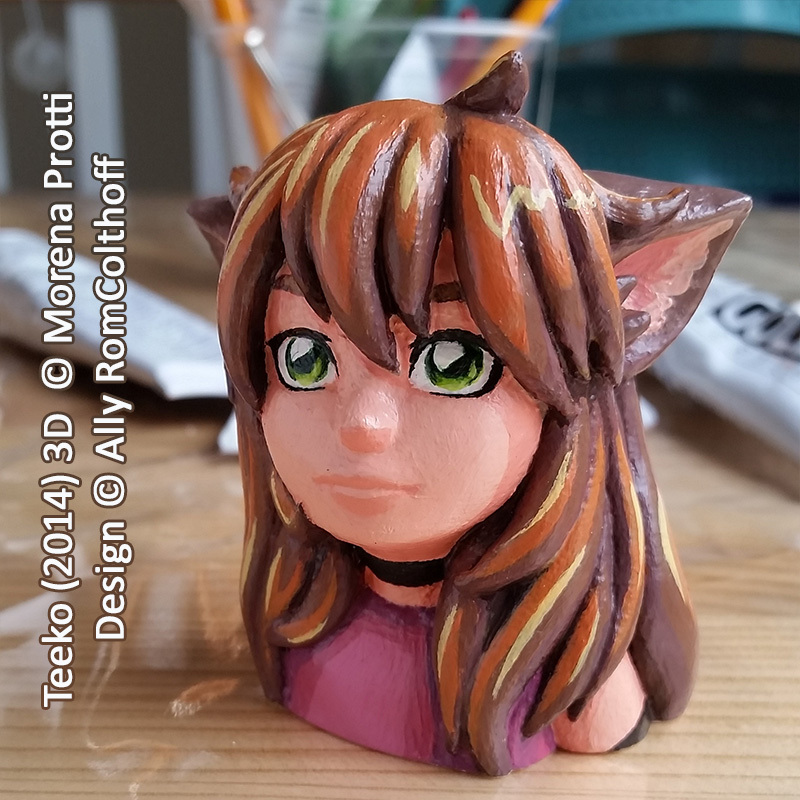 In the meanwhile, I spent numerous hours to prime and paint this bust of Teeko, but it’s finally done! 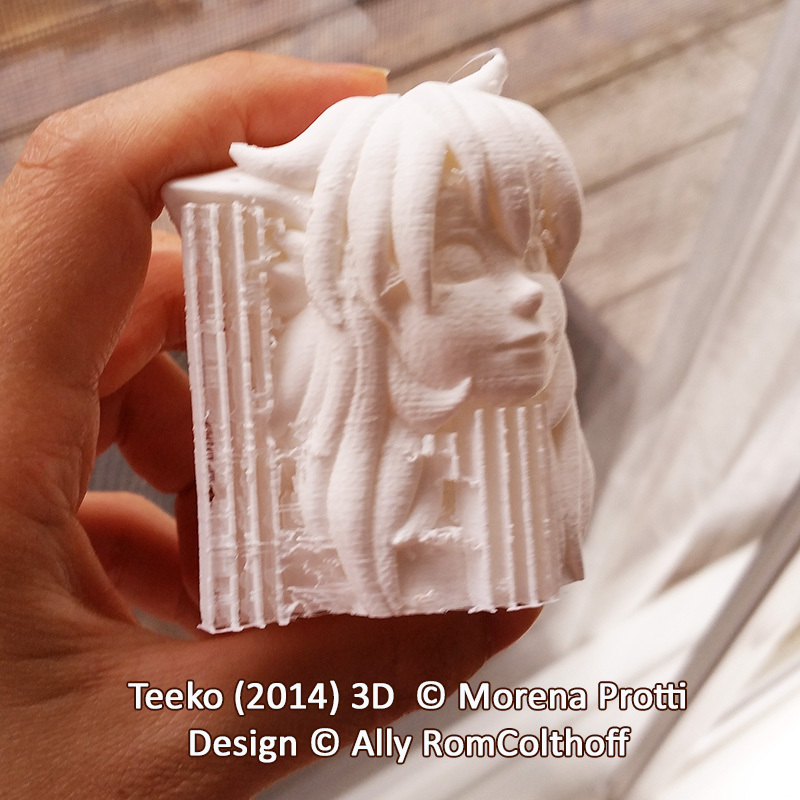 You can either buy the painted version from my Etsy Store, or 3D print your own from Pinshape and paint it yourself! Hope you’ll enjoy it! 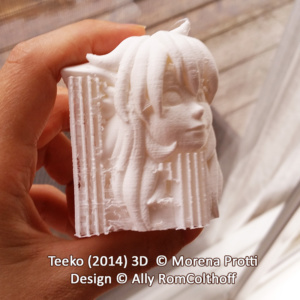 3D print it from Pinshape! Buy it painted from Etsy!